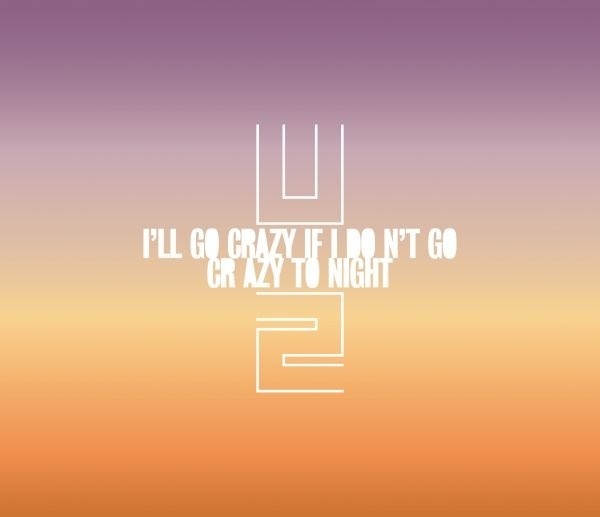 U2's new single, I'll Go Crazy If I Don't Go Crazy Tonight, will be released on August 17th by Mercury. This is the third single from No Line On The Horizon which debuted at No.1 in 28 countries when it was released in March. The talented Irish animation film-maker David O'Reilly has been commissioned to create a video for I'll Go Crazy If I Don't Go Crazy Tonight. David O'Reilly won the 2009 Golden Bear at Berlinale for his animated short film Please Say Something.